Thanks to (in)courage, thousands of woman gathered around the world on Saturday taking brave steps to embrace community through (in) Real Life meet-ups. "It's all about friendship and the challenge to stay rooted in community when sometimes just walking away would be so much easier and tons more convenient." I was unable to attend the meet-up in my area, but through a few online exchanges with the host of the gathering and the other ladies planning to attend, new friendships were beginning to bloom. A simple text on Saturday from one of these lovely ladies saying "Oh...I wish you were coming!" brightened my morning. Instead of attending the local meet-up that morning I participated in a LEAD 2013 conference at my church. I did not miss out on the opportunity to embrace community. Leaders of the church gathered and worshiped God together, prayed over each other, and shared ideas on how to fill the holes within our ministries. At the end of our time together we were given the chance to share what impacted us most from our day together. A guest speaker during the conference (Dr. Steve Lee) spoke on bringing our best to God. His message challenged me to look at the areas of my life where I'm not bringing my best. This is what I shared before we parted ways. What I really wanted to share was how a day of embracing community filled my heart. My husband and I could have left our church that day leaving community behind us, but instead we choose to stay. We stayed rooted within that community by continuing into the late evening with another couple. My cup was overflowing. On Sunday morning we returned to church and worshiping God was on my heart. I remembered the days of either blaming God for the pain in my life, or saying "if there really is a God, He forgot about me." How wrong I was. My heart was ready to sing praise to God for sending Jesus. Our Family and Student Pastor delivered a powerful message that seemed to awaken the hearts of us all. His message...run to God. He shared how when bad things happen many times we choose to run from God thinking He's to blame, instead of running to Him. "He's the answer. He made a way to make it right through Jesus Christ." 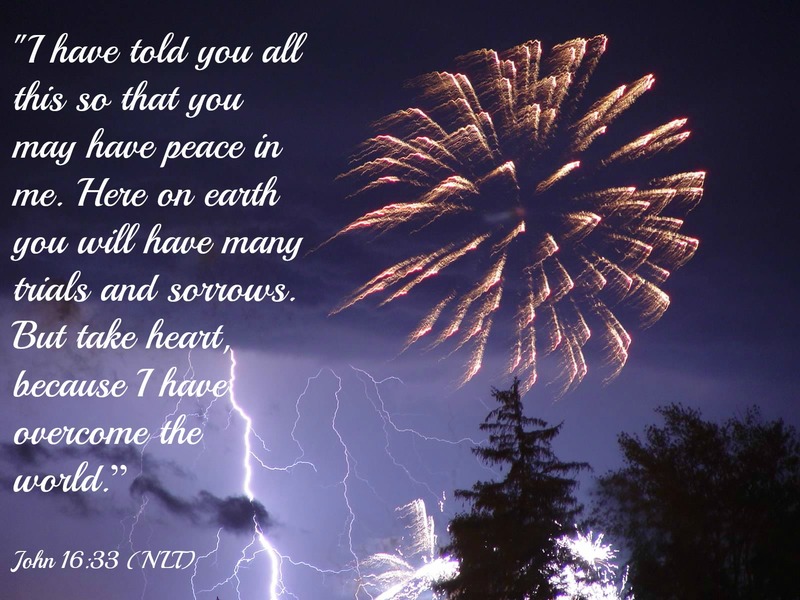 During the service we stood and worshiped God by singing the song I've been sharing throughout this post "Thank You Lord (With A Grateful Heart)." As I sang the words, tears fell down my cheeks. My heart has been changed and many times this can still take my breath away. I had a moment where I was mesmerized again by what happened at the cross—mesmerized by what God did for me...for us. I still struggle to share my faith beyond this blog, but something changed this past weekend. I realized by keeping my faith to myself, I'm withholding from others the greatest gift we were ever given. Jesus Christ! by the passion with which He is worshiped by His Church." My passion has been ignited! "Now to him who is able to do immeasurable more than all we ask or imagine, according to his power that is at work within us, to Him be glory in the church and in Christ Jesus throughout all generations, for ever and ever! Amen." "God's love for us is not greater when life is easy and less when difficult. 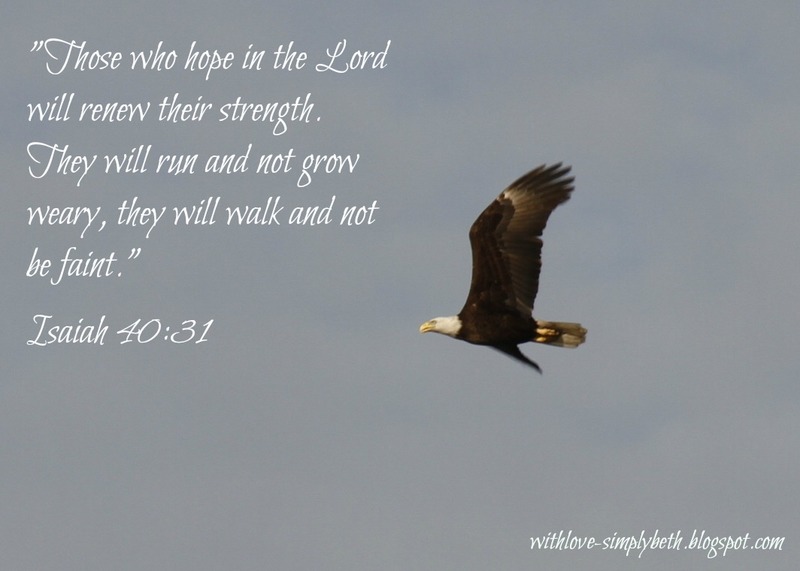 When life gets tough - no matter how tough, God's love is measureless and strong!" "God's love for the individual believer - His love for you - is very personal!" I am joining Lisa-Jo Baker and others for Five Minute Friday. Lisa-Jo provides us with a word prompt and we are to write for five minutes with "no extreme editing; no worrying about perfect grammar, font, or punctuation." My morning began with reading the latest devotional from Girlfriends in God, titled "Who is Your Kuleana?" With having the opportunity to recently spend a couple days in Hawaii the post title caught my attention. Apparently, "Kuleana" is a vital island phrase and means your "path" or your "posse," those people for whom and to whom you are responsible. "They include family who really know you, friends who walk beside you, your children and grandchildren and anyone who looks up to you. Also included are any mentors or leaders who have poured into you. And it definitely includes your spouse." When I discovered that today's word was "friend" and learned about this Hawaiian phrase, I asked myself Who is my Kuleana? The answer was easy...my husband. As Pam Farrel shared in her devotional, my husband and I need to be Kuleana (responsible) to each other first. We have been through so much together, but I'm grateful for where God has brought us today. God has taught us that we are responsible for carrying each other...we are responsible for ensuring neither of us falls. This requires always putting God first in our life and asking Him to show us how to continually support each other in this daily journey of a life together. There is a bond between my husband and I that is stronger than ever. He is my best friend...my Kuleana. Throughout the day I will look at this amazing man and simply say to him, "Dear...." His response is always the same, "I know, I love you too." This year we will celebrate 23 years of marriage. Twice our marriage was almost cut short. What brought me back to him was discovering without him by my side I had lost my best friend. I am forever grateful that by my side he remains. The season of raising two young boys is long past for me. My boys have become young men. The older one is now a husband to a lovely lady who is a beautiful addition to our family. I look at this photo and wonder where the time went. 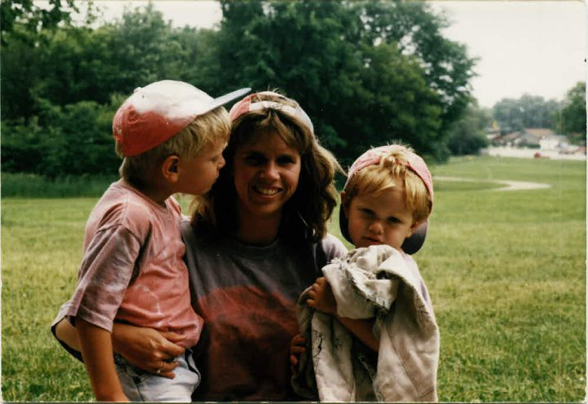 While my boys are grown and our family looks much different, the photo remains one of my favorites. It sits in my office and many times I find myself staring at it lost in the memories. There are days I miss the season of having young ones under my care. I tease my husband and tell him maybe it's time to adopt. Adopting is a God-sized dream residing deep in my heart. The photo brings back memories of doing everything I could to make sure my two boys knew they were loved. What you do not see in this picture is the brokenness of my family during that season. We were in no way pursuing a relationship with God. My marriage was hanging on by a thread. I can look beyond this picture of innocence and see tempers flying and hearts being broken. Then I look again and find God's grace. Somewhere in the midst of it all He was there. I can now look at this photo and see how God was present. I wonder how I missed Him for so many years. How did I not feel His spirit within me? Through the tempers and broken hearts there was one thing He was sure to place on my heart. Mistakes were made and harsh words were said but in the end I always made sure my boys knew they were loved. Prayers were not said and devotionals were not read but in the end I always made sure my boys knew they were loved. This picture remains a favorite because the look on their faces tells me they knew how much they were loved. I thought I was far from God but He was always near. He had impressed something important on my heart. Dr. Rob Rienow of Visionary Family Ministries was recently a guest speaker at my church. He shared a scary statistic of how 75% of children leave their faith when they become adults. My two boys were not raised in the church so they did not have a faith to leave. Dr. Rienow's message was one that encouraged me to always be praying. It's never too late to win the souls of our children. God won mine at the age of 42—it's never too late. God used this photo to bless me in a new way. I see the precious innocence of my boys and find God's grace. I see how God shows up among our messy and imperfect lives. I'm reminded to hold on to hope. Even in my unbelief He had not given up on me. He was still there showing me how to love my children. 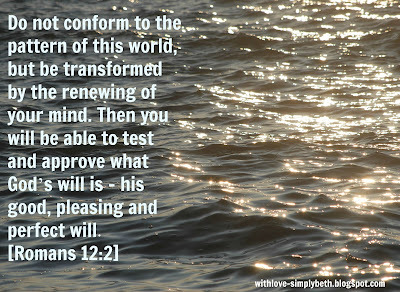 Oh, how my heart begins beating with a renewed excitement over what He will do now that I do believe. It is never too late to win the souls of our children. ﻿My son, attend to my words; consent and submit to my sayings. My response is to get down on my knees before the Father, this magnificent Father who parcels out all heaven and earth. I ask him to strengthen you by his Spirit — not a brute strength but a glorious inner strength — that Christ will live in you as you open the door and invite him in. And I ask him that with both feet planted firmly on love, you'll be able to take in with all followers of Jesus the extravagant dimensions of Christ's love. Reach out and experience the breadth! Test its length! Plump the depths! Rise to the heights! Live full lives, full in the fullness of God. God can do anything, you know — far more than you could ever imagine or guess or request in your wildest dreams! He does it not by pushing us around but by working within us, his Spirit deeply and gently within us. My husband is off playing Army and it's during these times when my heart feels a bit heavy. With talks of a deployment later this year, I find myself questioning having the strength to get through those months apart. These words from Paul have encouraged me this morning. I pray whatever may be weighing on your heart today that you find the same encouragement. 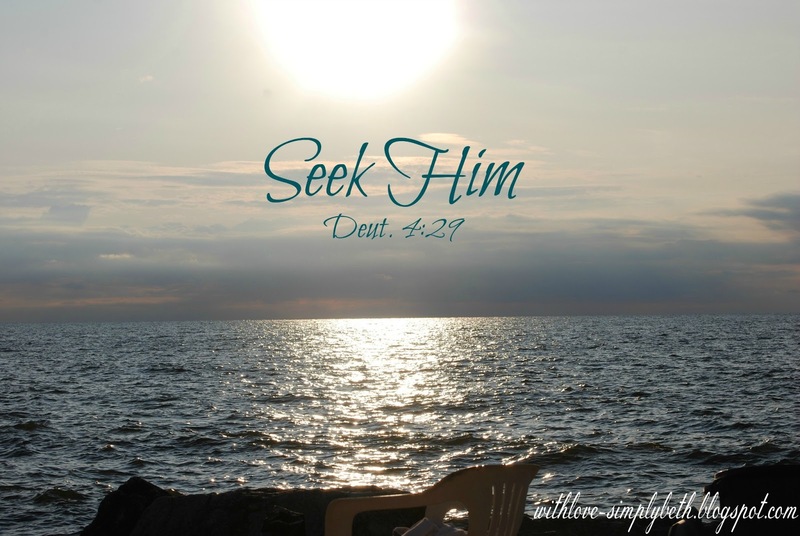 Invite Him into your heart, friends, and you will find strength. "God can do anything, you know — far more than you could ever imagine or guess or request in your wildest dreams!" This word "jump" made me think of an article written by author, Jon Gordon, called "No Fear in the New Year." In it Jon writes, "And as I take my leap into the ocean I want to invite you to jump in with me. Perhaps not in the ocean, but in the depths of your mind. This jump doesn't necessarily require water but rather a leap of faith in your belief system and a shift in your mindset. The antidote to fear is trust and it is only a thought away." After the events that took place this past week in Boston, and as you continue to watch the events unfold on the news, I'm sure fear is lingering in the hearts of many. It's in moments like these when we hear others asking, "Where is God?" We can question where God is, and maybe we need to be asking this question. But it isn't a matter of God not being present. I believe it's a matter of are we allowing God to be present in our hearts. 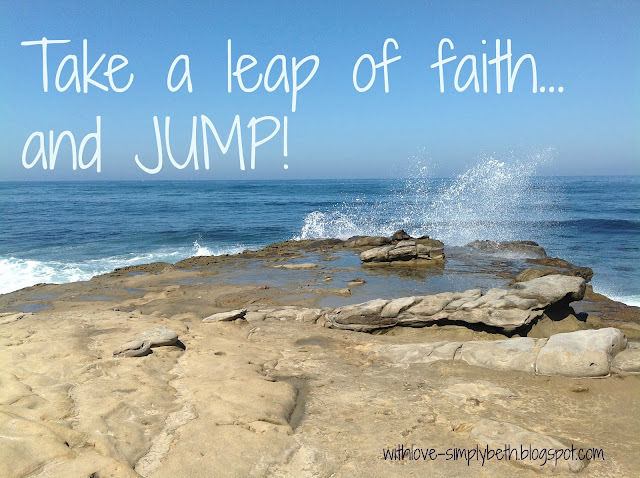 When I think of this word "jump" and I remember the words shared by Jon Gordon, I realize we need to lead more to the ocean and say, "Take a leap of faith and jump. Because really, what do you have to lose?" When we take that leap of faith and choose to jump, God will be found. He is surely present. The more we allow Him into our hearts, this evil that exists will begin to fade away. God is found in the hearts of others. In Boston, God was present. He was present in the many who responded in those moments of evil and reached out and didn't let evil have the final say. He remains present in those who instead say, "we will overcome evil with good." Jump into the ocean...take a leap of faith. God is only a thought away. Memories of places I've been with my family have delighted me this past week thanks to Kristen @ Chasing Blue Skies and her most recent "out of the blue" prompt. This week Kristen asks: Tell me about a place that surprised you by how much you liked it. Write about how you didn't expect to love it and why you now do. Maybe you live there now or hope to in the future. Maybe you vacationed there and hope to visit again. Either way, you were surprised at how the Lord softened your heart towards this location and how He's used it to bless you. I could easily tell you about our family trip to St. Joseph, Michigan several years ago that far exceeded any expectations I had. It was a glorious four days together. Many pictures from this getaway hang in our hallway and always make me smile. 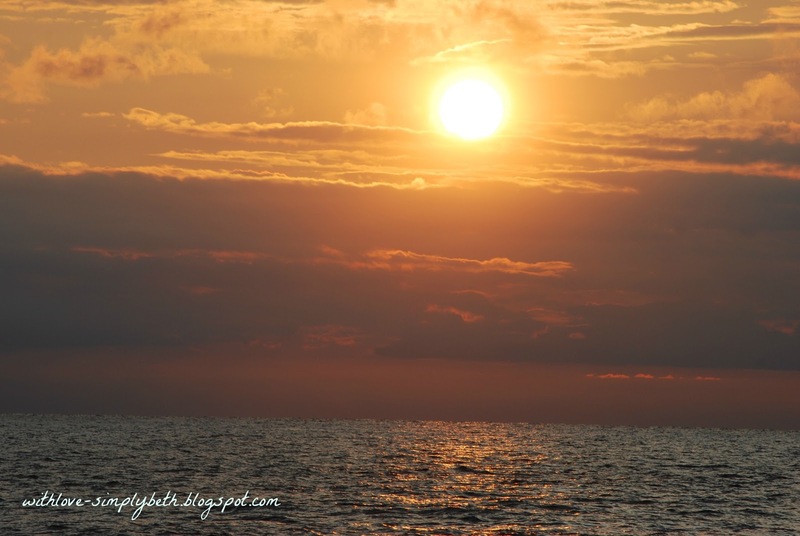 My favorite memories are of our evenings relaxing on the shore of Lake Michigan with a fire, music and many laughs. One evening we were even blessed with fireworks! But what about the time I was able to take my husband and two boys to the place where a significant portion of my childhood was spent? 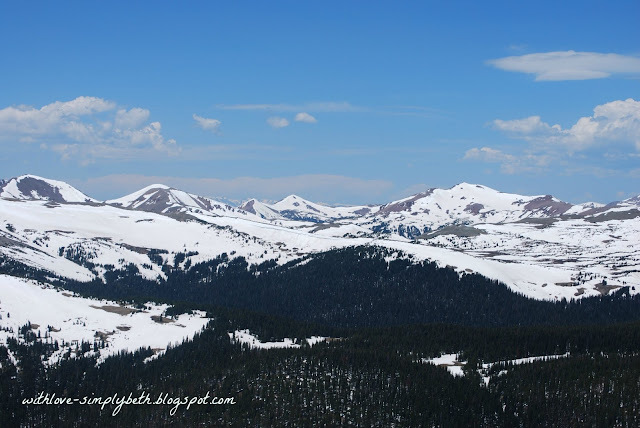 "Rocky Mountain High Colorado..." This state is simply breathtaking. From the moment we climbed into our Tahoe to begin our sixteen hour journey, to the moment we rolled back up the driveway, I felt as though we were in heaven. Colorado is one of God's masterpieces indeed. 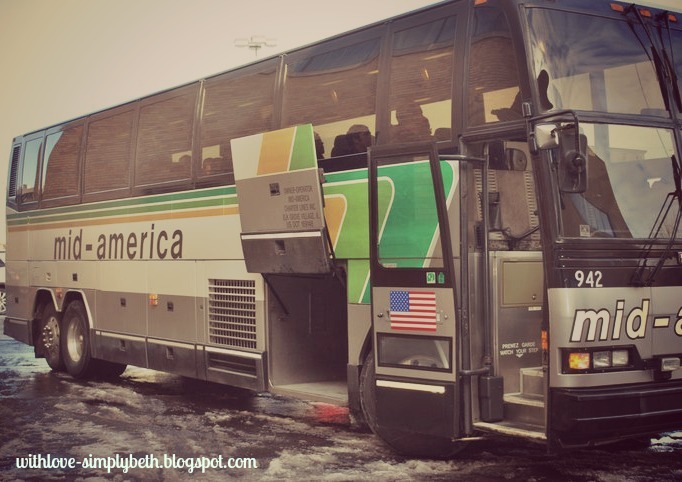 I could fill up this post, and many more, on how wonderful these trips were. I pray we have the opportunity to return to both places again as a family. As I was trying to decide which place to share with you, as both equally hold a special place in my heart, God kept bringing my mind to a place I've yet to visit and for some reason this is the place I most want to write about—Guatemala! While I haven't been to Guatemala yet, my heart sure feels like this is where God has always meant for me to go. My new passport in its pretty pink cover is ready to take me on this adventure. The mission team from my church met for the first time this week. My heart skipped a beat as one of the leaders asked me to help open our time together in prayer. God was already taking me out of my comfort zone and we are months away from leaving. Any lingering doubt on whether or not I heard God correctly when I said yes to being a part of this team, vanished in that moment. Our time together was spent looking at pictures from previous trips made by mission teams, discussing fundraising opportunities and reviewing our preliminary itinerary. My heart feels as though it's already half way to Guatemala. I was most excited to hear how we will bring a big birthday party to a daycare we will visit. I've got goose bumps thinking about those precious children. May God allow us to bless them in a way they have never been blessed. As our evening ended another woman asked me if I was afraid. At first her question confused me. Then, I quickly understood. She has fears on how God would use her in Guatemala. Oh, yes, me too! How am I overcoming these fears? With prayers—lots and lots of prayers. God, please let me be the hands and feet of your son Jesus in Guatemala. Whatever fears I may have of how you could use someone like me, I'm handing them over to you. With complete surrender, I'm yours and ready to follow your lead. I'm blown away by how God has already softened my heart toward this place and I know without a doubt that He will use our mission team to bless the Guatemalan people. I also have a feeling He will use this trip to bless each of us. Would you please pray for me and the rest of our mission team? And what a blessing he is! and takes us to the high places of blessing in him. 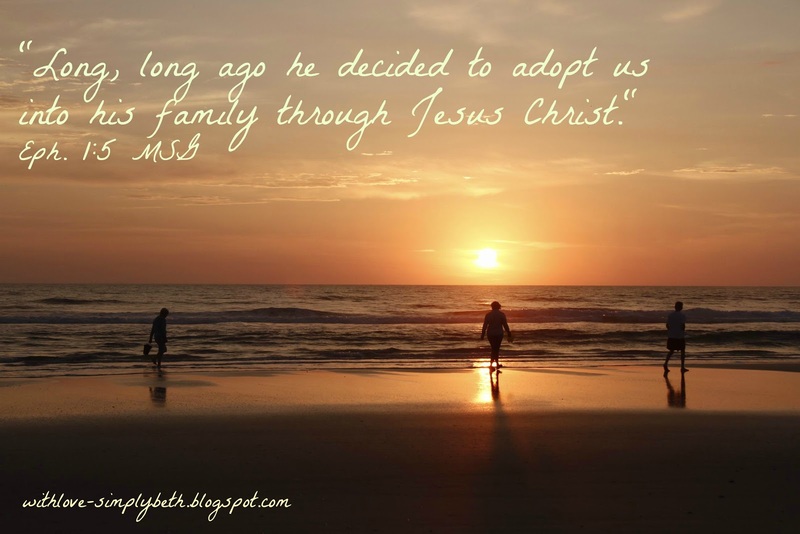 Long, long ago he decided to adopt us into his family through Jesus Christ. of his lavish gift-giving by the hand of his beloved Son. Here I am. It's Friday and I'm at the office trying to avoid accepting that this cold has grabbed a hold of me. I shouldn't be writing while at work, but it will be short as five minutes is the limit. As I sit here I can't help but to find myself asking again is here really where you want me, God? I keep wishing His response would be different because I'd rather be anywhere but here. As I anxiously await my mission trip to Guatemala later this year, I hope there is where He will leave my heart. I hope there I will discover my calling. Every time I find myself questioning if here is where He has called me to be, I'm reminded of these words from Colossians 3:23 said by Paul, "Work willingly at whatever you do, as though you were working for the Lord rather than for people." These words were previously pinned to my cork board in my office as a daily reminder. I'm not sure why I chose to take them down. Maybe it's time to put them back up as I know God is asking me to trust Him right here. Here I am, going over the five minute limit and still wishing I was in some other place. I don't like to find myself questioning God. It's okay to question Him, right? Even though I find myself questioning God, making the choice to trust Him always finds its way back to my heart. Right now, here is where He's called me to be. That first good-bye was said as a bus prepared to take my son off to begin his adventure of becoming a sailor. I remember all too clearly standing next to that bus, with his girlfriend (now his wife) standing by my side, trying to maintain some sense of composure as I waved good-bye. As a mom I'm supposed to be the strong one - right? As my oldest son left on this new adventure, my husband and I would begin our own adventure of coming one step closer to being empty nesters. I always knew this day would come but as these boys of mine were growing up I never imagined one of them ending up so far from home. I never imagined that one good-bye would turn into many more good-byes. I've learned that many more are yet to come. I will say that the good-byes have become bittersweet. Our next good-bye came on the day I sent him off on his first official assignment as a sailor. Boot Camp days were over and his Navy career was beginning. I held tightly to every last moment I had with him. My feet wouldn't leave the terminal gate until I had watched his plane disappear into the sky. Tears began falling not knowing when I'd hug this child of mine again. His first visit home was to celebrate his 21st birthday, and then came the glorious day when we made our way to visit him. Each visit, though, was too soon followed by another good-bye. As his visit home for Christmas came to an end, I remember standing in our kitchen, no longer able to hold back my tears as the time drew near. My son knows me all too well. Even though I was making every effort to hide my tears, when he walked into the kitchen he asked, "Why are you crying, Mom?" My only response was to reach out and hug him. It was time for me to make my way to him for another visit. This time we would have some mother/son alone time. It would be my last visit with him before he became a husband. It quickly became a visit that will always remain on my heart. As parents, many of us fear what happens when they leave the comfort of home. How will we transition into this next phase of them no longer needing their mom? But, they do need us. They will always need us. I realized this when on the last night of my visit with my son he seemed to delay leaving my hotel room. We spent a quiet evening listening to the play list for his wedding reception and watching a movie. Shortly after he left my room he sent me a text message that simply said, "I am so happy you came to see me." Oh, how those tears began falling. There have been many more good-byes since that visit, but through each one I've been blessed. I've been blessed to watch him grow from a child to young man and from a young man to a husband. More than anything, I've been blessed to witness that I will never stop being his mom. We don't stop being a mom; we just enter a new chapter of being a mom. And in many ways I'm finding this chapter to be my favorite of them all. As I reflect on these past two years filled with good-byes, I realize not only was I blessed to watch how much my son grew, but I also grew. God taught me some much needed lessons on being a mom. The most important lesson was on learning to love my children unconditionally. God gave me the gift of being a mother. With each good-bye, I've discovered the best gift I could give to my son was to let him know he was loved just because he was him. I remember someone sharing how mothers are like a lighthouse. The primary purpose of the lighthouse is to bring its mariners home. This is what I want to be to both my children...a lighthouse that keeps on shining and always directs them home. To keep my lighthouse shining, I turn to God. and with all your soul. Sometimes I wonder why I keep coming to this empty space and pouring out my heart with my imperfect words. I wonder because the process can be so painful. The writing at times is hard, but what happens after I press "publish" can be mentally exhausting. The after moments that come as a result of pressing that button are too often the same. First, there is a pleasant burst of confidence that this is the one post I finally got right. My words seemed to flow and the message is clear. Then, my unbelieving heart moves to questioning every word written. It's in those after moments where I find myself saying, I will never be good enough at this writing thing — everyone else does it so much better. Comparison has successfully stolen any sense of joy. It's in those after moments where I wonder why I ever started. After all, this was never a life-long dream of mine. It's in those after moments where I once again say it's time to call it quits...NO MORE! But then, someone comes along after I've pressed "publish" and leaves some words of encouragement and lifts my spirits. I almost allow my worth to be found in their one little comment. Time ticks away and a few more comments are left, and each one gives glory to our amazing God. I'm reminded that my worth isn't found in their comments, but in Him. While these after moments can be painful, I'm always led to the moment of remembering I write because every time I find him. I write with the hopes that after I press "publish" that just maybe I will help someone else find Him. I’m not always sure why God used becoming a military family to bring a renewed strength to my family. Many times I have thought it was an odd choice. Thankfully my ways are not His ways, so I’ve stopped questioning His choice. There are too many reasons to be grateful for the journey He has taken us on. What I find mind boggling is how God showed up and gave an unexpected boost of confidence to each member of my family. It was a boost of confidence that was desperately needed even though some may not have realized how much that boost was needed. As I look back and see how God orchestrated each step, and how each of us grew as a result, I’m in awe. It began with giving a husband and father the confidence to pursue a lifelong dream at the age of 41 to serve His country. Soon after, confidence was found for a son to follow in his father’s footsteps. 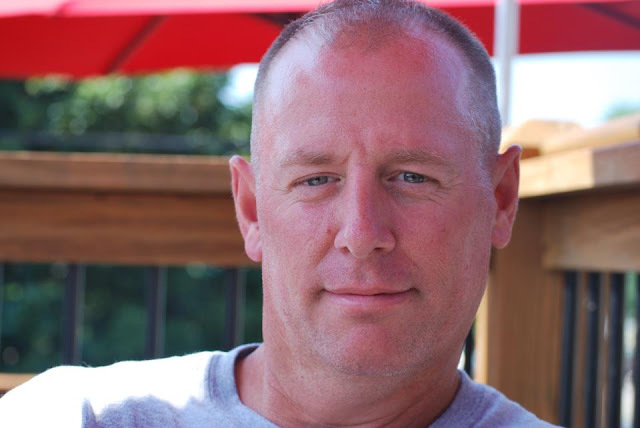 Serving his country was not a lifelong dream, but he was in need of knowing he was capable of so much more than he ever allowed himself to believe. He showed another son that he too could pursue a dream…a dream for a life filled with music. As these men of mine began their new adventures, two of them being led away from home, I wanted my life to come to a stop. How would I possibly manage? For this introvert, confidence was needed to simply venture outside of the house on my own. God gave me the confidence to keep moving forward. He gave me confidence to send my husband off to become a soldier and begin a new chapter in our life. He gave me confidence to let go of my son the day he left for Boot Camp to become a sailor. He gave me confidence to support my youngest son in pursuing his dream, because sometimes we moms need confidence in our ability to be a supporting mom. He gave me confidence to hop in the car with only a few hours’ notice and make the drive from Chicago to South Carolina to bring my husband home to recover from his injury prior to completing his training. He gave me confidence to say, “I can handle this,” when I opened my front door one morning to 22 inches of snow. More recently, He was with me as I rose from my seat one Sunday morning and took those scary steps to the front of the sanctuary. I grabbed hold of the microphone and stood before our entire congregation as the leader of our new Military Support Ministry and shared my heart on why supporting our troop’s matters. The hand that held my notes would not stop shaking. God gave me the confidence to speak. Every time I hit the “Publish” button on a new post, it’s because He has given me the confidence to believe that my stories matter. How do we grab hold of this confidence God wants to give us? 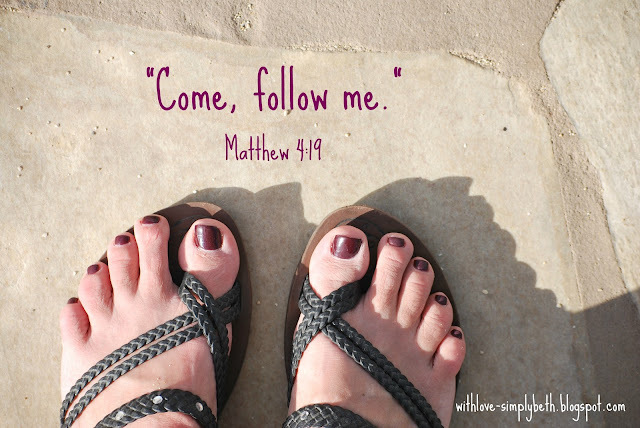 In Matthew 4:19 Jesus says, “Come, follow me.” When we make the choice to follow Jesus, we are surrendering relying on our own agenda, and trusting His. It’s a choice we make daily to surrender and trust that He has us right where we are for a purpose. When we put our trust in Him, He will give us the confidence needed to fulfill His plan. We may not do it perfectly, but He isn’t asking us to be perfect. There were many times I found myself in tears when my husband was gone. On that day I stood before our congregation, my words were far from perfect and it was more than obvious how badly my one hand was shaking. I wouldn't be surprised if you were able to find several posts with some kind of grammatical error. But every day I make the choice to keep on following Him. God makes no mistakes so put your trust in Him. I'm not sure if you would call me a "newbie" Christian. I love how a dear friend of mine referred to me as "a new believer who has grown more in the past two years than many Christians who have been saved for years and years." This made me smile! But I do think I'm only at the first mile marker in the race God has set before me. The past couple weeks my Facebook page was flooded with messages from other fabulous bloggers on lent, the death of Christ, the painful waiting period, and His resurrection. As time allowed, I would dive into the hearts and words of others. The time spent reading taught me that there is still much I have to learn. When it comes to the Bible, there is always more...much more. On an online writing community I belong to, someone posted the question of whether or not the Easter weekend inspired your writing. My first response, Nope, not me. No inspiration here. I honestly haven't felt God inspired writing. I've felt a little word-less in the writing arena. The question itself, however, seems to have inspired some words. The Easter weekend did not leave me uninspired by any means. The Easter weekend left me somewhat speechless, but everything about the weekend has inspired me to fill my heart and soul with His words. I've been inspired to know everything about this man who endured such unthinkable pain for me. I've been inspired to no longer use the term "newbie" Christian as an excuse for not knowing His story. This Easter weekend was life changing. A Good Friday message on how the Cross offered us a new and better way of coming to God. I heard those words, "It is finished," with a new appreciation for what they meant. We were saved completely for all time. I understood what it meant to wait...to wait for His resurrection. My heart ached for how His followers must have felt not knowing what would come next. Then came that glorious day: Hallelujah! He is risen! I woke up Easter Sunday not fully knowing at first why my heart beat faster. But understanding quickly came...Hallelujah! He is risen! My pastor delivered a powerful message on Easter morning that gave me a new understanding of what it means to come to the cross. Coming to the cross is a choice we make. At the cross we connect with the God who saved us; the God who loves us. At the cross we make the ultimate surrender. "We come to the cross and die there so He can make us new." We make that surrender daily. A video was played that morning on how we are God's original masterpiece...we need to let Him chip away that which isn't what He intended (chip off what is sin) and be molded into the image of His son. We need to believe this ---> "God doesn't make junk. You are an original masterpiece." Watch this powerful video. My weekend ended with watching the movie, "The Passion of the Christ." I cried and I cried watching all that Jesus went through for us. To then see Him again...Hallelujah! He is risen! Here I am now. Easter is over so what comes next? Someone apparently heard me ask that question. 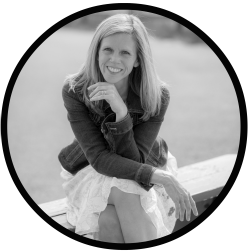 Read from circlesoffaith.org: Easter's Over—Now What?, written by Penny Musco. I love these words from Penny, "Oh, that our hearts would burn like those two on the road to Emmaus! That we would "not see and yet believe" (John 20:29)!" Her words help me describe exactly where this Easter weekend has left me. A burning heart to believe. A burning heart for more of God and His Word. My Bible is opened to the Book of Matthew! Oh how my heart is burning my friends! I've previously read all four Gospels, but I only read them, I didn't fully take in every word written. My heart is burning for more of God and His Word. My prayer is that you experience the same burning for more. 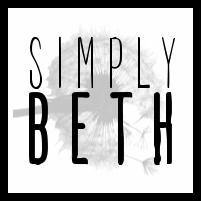 If you missed my first post, read here. I never intended on writing a Part 2, but I've felt suspended on those words, "Go and Do the Right Thing." Because what is the right thing? On my day of weeping, the next right thing for me to do was to write. For me, writing always seems like the right thing to do. Even if I doubt my talent as a writer, it still feels like the right thing. God speaks to me as I write, and peace is always restored to my soul. But on that day of weeping... there was something I chose to do first that allowed my words to unfold the way they did. I sat on my bed with a blank computer screen staring at me while I tried to form the words to describe the sorrow I felt. Eventually, God pulled me off the bed, and before fully knowing what had transpired, I was dressed and walking out the front door with my camera in hand. This was almost comical. My weeping began because I didn't feel good enough—good enough at anything. And now here I was holding my camera. Prior to taking up writing I had my hopes set on being a photographer, but soon decided this was not a gift God had blessed me with. 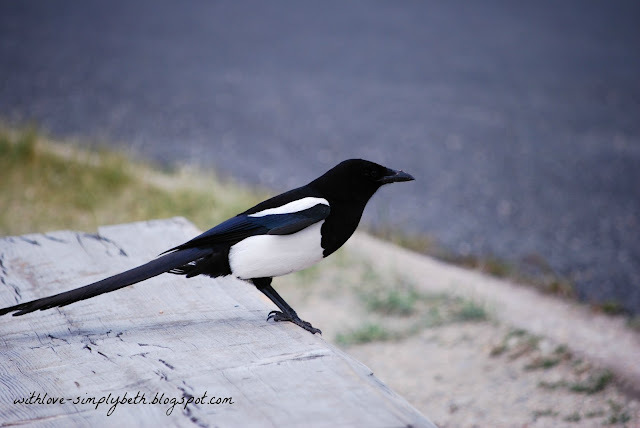 As I walked the paths of our forest preserve with my camera in hand, I felt His presence. As the sorrow I felt lifted, my eyes became focused on the path before me and I saw Jesus walking in front of me. Suddenly, something magical began to happen with that camera of mine. It was a beautiful hour. K-Love played on my phone, and as I walked with Him through the forests our Father created, a familiar song came on. Tears filled my eyes as I was reminded of His love for me. My walking turned to skipping and dancing (honestly!). "In Your presence God, I'm completely satisfied." The right thing for me to do that day was to walk with Jesus. And when I returned home He gave me the words to share with you my sorrow, and in the end I could share how He restored my soul. But now I know those words, Go and Do the Right Thing, are so much more than the words I share on this space with you. 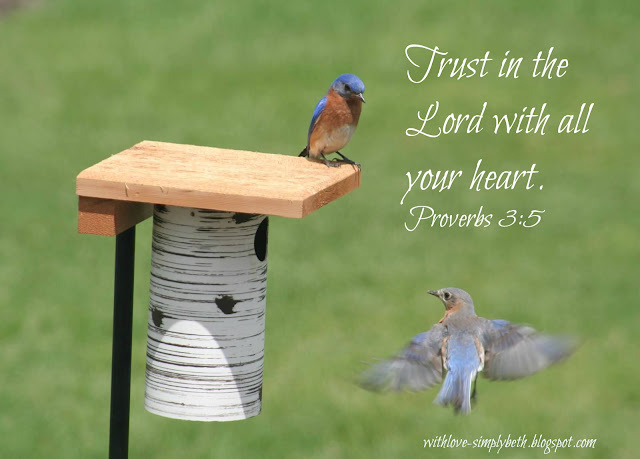 Outside of this blogging world, I tend to hold tightly to God as if He belonged only to me. I keep myself sheltered from real life while God is at work in me restoring my broken heart.. But God made us to be light-bearers. "Blessed are the peacemakers (Matthew 5:9)." We share honestly our feelings, failures or fears. We share how He is our hope. 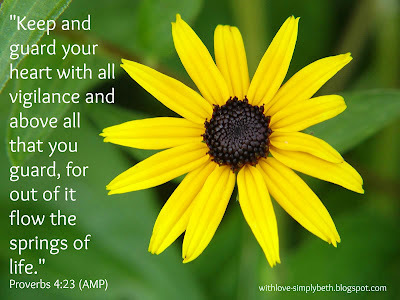 We share how we are learning to depend on His love and Word. We help lead others to God. 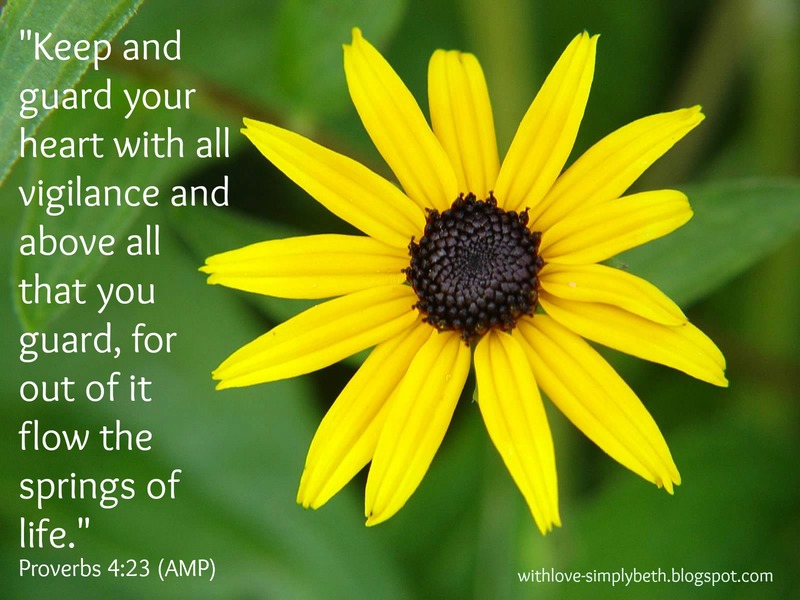 Bring His message of peace by sharing with others the same peace He is giving you. Let's go and do the right thing and be messengers of His peace.